Porto is renowned for its port wine. Above, barrels of wine age on anchored boats in the Douro River. 8.20.2011. Porto, Portugal. One long walk and lazy lunch later, we were on the banks of the River Duoro. The river cuts through the middle of the city and empties into the Atlantic Ocean. 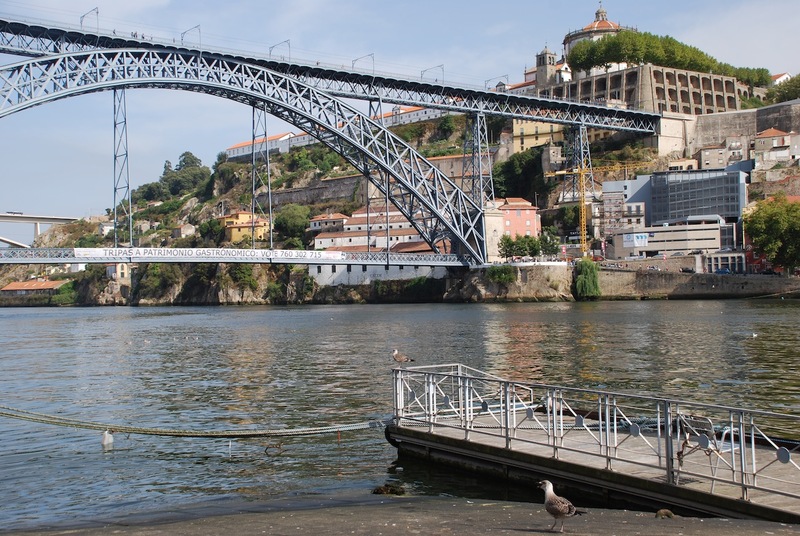 Sidewalks lined with colorful cafes skirted the river, and the Dom Luís Bridge connected the two sides.